First Nations chiefs on Wednesday called on the federal government to amend its marijuana legalization legislation to prevent provincial regulations from applying on reserves. Chiefs passed a resolution at a Special Chiefs Assembly in Gatineau, Que., directing the Assembly of First Nations to lobby the federal government to make the amendment to Bill C-45, which is currently before the Senate. The resolution also called for First Nations to be included in the excise tax revenue sharing framework, which is currently split 75 per cent to 25 per cent between the provinces/territories and Ottawa. "The federal and provincial governments must recognize and respect First Nations sovereignty and jurisdiction over their reserves and traditional territories," the resolution says. Ottawa's failure to include First Nations in its initial plans to legalize marijuana and cutting them out of the tax revenue split created jurisdictional confusion and undercut business opportunities, while setting the stage for a repeat of the decades-long war over untaxed tobacco, chiefs said. Chiefs also expressed concerns over the impact of legal pot in communities already struggling with an opioid epidemic. Liberal MP Bill Blair, the federal government's point man on marijuana legalization, and Eric Costen, director general of Health Canada's cannabis legalization and regulation branch, did their best to defend Ottawa's decision to deal primarily with the provinces and territories. Costen told chiefs that while the federal and provincial governments have control over the implementation of the new law and related regulations, that doesn't mean First Nations laws couldn't be fit in. "The reality is the way the legislation is being designed is they are meant to coexist, not meant to step on each other's toes," said Costen. Blair said it was beyond his area of expertise on whether First Nations could be included in the tax revenue split framework, but that Ottawa was putting money into education, law enforcement and mental health services as part of its legalization plan. Blair said Prime Minister Justin Trudeau has already committed to creating a new fiscal relationship with First Nations and the issue could be dealt with under that process. "Those important discussions are taking place and will take place and those issues will be addressed," said Blair. Jean-Guy Whiteduck, chief of the Kitigan Zibi Anishnabeg in Quebec, said marijuana dispensaries are set to explode on reserves in the same way tobacco shacks spread in the 1990s, triggering a nearly three-decade long battle over untaxed cigarettes that continues to this day. Whiteduck said there are people who have been growing marijuana in his community for more than 20 years and, while his band has taken the position to prevent dispensaries, it can only hold back the business for so long. "It could well go that way. We have concern because there is no real control," said Whiteduck. "Is it going to happen like tobacco? There is a good chance it will." Whiteduck said politicians in Ottawa and Quebec have so far done little to respond to his concerns. A cannabis dispensary has already opened in Kanesatake, a Mohawk community near Montreal. In the Mohawk community of Tyendinaga, near Belleville, Ont., at least 20 dispensaries are already operating, with some reaping about $10,000 a day in business. In Six Nations, an Iroquois community near Hamilton, the local police have been trying to shut down dispensaries, which quickly reopen after raids. Tobique First Nation, in New Brunswick, is also operating a dispensary which was raided by the RCMP at one point, triggering a standoff. Blair said First Nations dispensaries operating now are illegal and any shops operating after the new law comes into force will have to abide by the "strict regulation for production and distribution that is being developed." 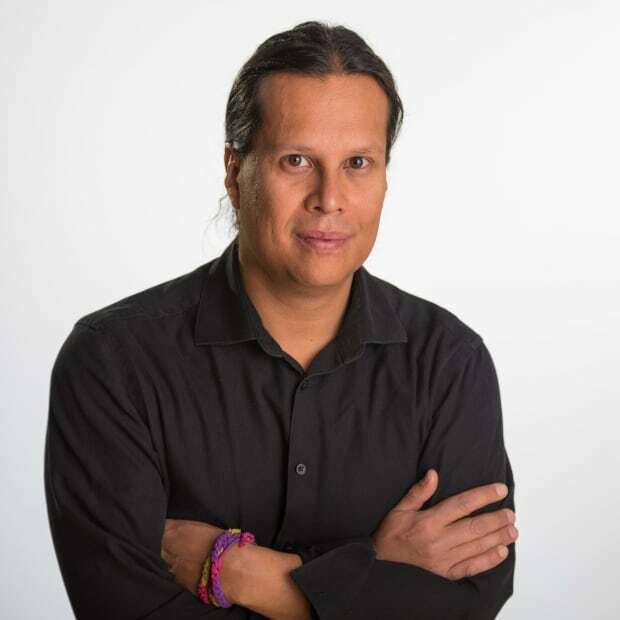 Cameron Alexis, a former AFN regional chief for Alberta, said the federal government's failure to consult with First Nations is going to lead to communities facing the brunt of law enforcement after the pot law comes into force. "You will have the RCMP doing search warrants because First Nations are not prepared," said Alexis, who is with Tribal Chiefs Venture, which is made up of six First Nations. "So whose law is going to apply?" Serpent River First Nation Chief Elaine Johnston said Ottawa is including First Nations too late into the legalization game and it's already creating problems at the community level. "The government is going to do this with no discussion with First Nations," said Johnston, whose community is in northern Ontario. Under the new marijuana law, it's up to the provinces and territories to determine regulation, distribution and retail and, as it stands now, First Nations will have to sort out how they fit in with the respective jurisdictions. Saskatchewan recently included three First Nations in the province on a list of communities that could apply for permits to set up retail stores for marijuana. Onion Lake Cree Nation was surprised to find itself on the list as it banned alcohol and drug use on the reserve 30 years ago. Manitoba recently announced it had provisionally selected four companies and consortiums to sell cannabis in the province, and two of the proposals selected had First Nations involvement. No marijuana shops anytime soon, says chief of dry reserve given pot permit by Sask. Sara Loft, a representative of IndigiCo, which entered into a 50-50 partnership with Cronos Group — a licensed producer — to form Indigenous Roots LP, said she was "dismayed Indigenous people have not been included in the Cannabis Act." Loft said Indigenous Roots is set to begin construction on a 2,790-square-metre cannabis growing facility in Armstrong, B.C., at the end of the month. Loft said the economic potential for First Nations is huge, but Ottawa put First Nations at a disadvantage. Loft said that while 14 Indigenous communities or Indigenous-controlled businesses are in the queue for federal licences, they represent a fraction of the total, which is about 2,000. Loft said 20 per cent of federal licences should be set aside for Indigenous communities and companies. "We can't be an afterthought once again in a huge piece of legislation," said Loft. "What we see is bigger companies getting further ahead and First Nations getting further and further behind, playing catch up."